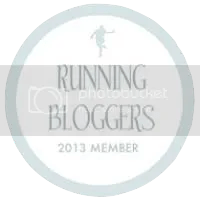 Recently on one of my long elliptical sessions, I listened to the Running for Real podcast, in this particular interview Tina Muir spoke with Dr. Andrew Jones. I was very intrigued by this episode. With the title: “What we can learn from the greatest runners of all time,” I knew it was worth listening to. Dr. Jones is a physiologist who has worked with one of the best distance runners of all time, Paula Radcliff. Most recently he played a huge part in Nike’s Sub 2 hour marathon project. Aside from all the impressive runners Dr. Jones has worked with, he also been unlocking the secrets to beetroot. Beetroots, you stare puzzled at the screen? While coaching and competing in the sport for many years, I have seen all sorts of strange habits and rituals runners do in order to push themselves over the edge just a tiny bit farther. I have in fact seen athletes chug or take shots of beetroot juice literally 45 minutes before toeing the line of a race. I personally could not imagine having the taste of beets in my mouth and settling in my stomach minutes before an all out 5k effort. But what can I say, we all do strange things to help our performances. Some people stick with Gu, others want Beets! I have heard and read a tiny bit about the science behind beets, but the podcast episode with Dr. Jones really sparked my interest. So what does Beetroot do for us? Well, beetroot contains high amounts of inorganic nitrate, which once ingested turns into Nitric oxide. Nitric Oxide is a vasodilator, which means our arteries dilate or become larger. When our arteries dilate, there is an increase in blood flow which means oxygen can travel much faster to our muscles. Theoretically, if our muscles are able to get oxygen quicker this would mean that it would take longer for our bodies to hit the dreaded “wall.” In other words, we should be able to last longer during endurance events. I’m not going to lie, I like the sound of that! Well then, How much do I take? After doing to light reading, about 4 days of beet juice is what in needed to hit the optimal level of Nitrates. Three days prior to the event/ hard workout as well as the morning of the event. Based upon the little bits of research, I decided to give this a try. I purchased a small container of Beetroot powder which I am adding to my smoothies about 3 days out from my hardest sessions and races. I will also take a glass of water with the powder the morning of the workout/event. But not 45 minutes before the run, more like 3 hours before. Honestly, it may be more of a placebo effect, as I have no real way of knowing whether or not I truly am able to last longer on my runs. But, it will be fun to experiment with this beetroot fad. Disclaimer: The content above is not intended to be medical, advice, diagnosis, or treatment. Seek medical attention and advice before starting any new nutritional regimen.